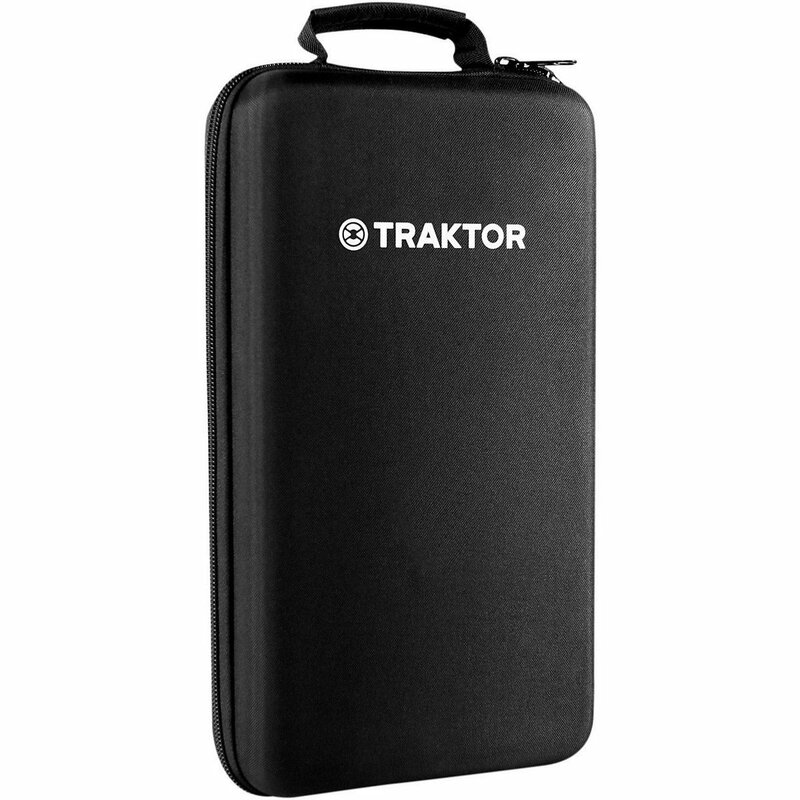 Need help finding the best Traktor controller for your needs? 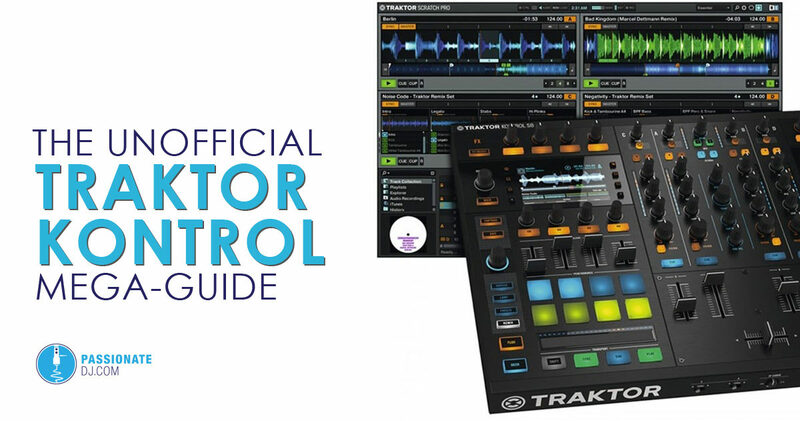 This is a comprehensive guide for Traktor Kontrol: a line of hardware for DJs by Native Instruments designed to integrate perfectly with Traktor software. Reading this guide should give you a solid understanding of how the hardware works, the types of workflows available, and what devices best suit your needs. This is not meant to be an overall walkthrough of the Traktor Pro 2 software. Want to learn Traktor? Check out Traktor 101 by DJ Courses Online. When referring to Native Instruments hardware, “Kontrol” typically references a hardware/software combination that works together to provide an intuitive interface. In the DJ’s case, we’re referring to Traktor Kontrol, though many producers also enjoy the Komplete Kontrol series of keyboards. Lets take a moment to discuss a few of the features involved in a typical Traktor setup. Native Instruments is very focused on providing tight integration between hardware and software, and providing a smart interface for humans like us to do a lot of multi-tasking in a small space. In these systems, when you touch certain parts of the controller, the screen will change to accommodate whatever you’re trying to do. For example, touching one of the FX knobs causes panels to slide down and show you the exact changes you’re making to that parameter. If you want to see the length of your loop setting before actually engaging it, simply touch the loop knob and the number pops over the screen. Twist the knob left or right to change the loop length, and then push it down to engage the loop. Even in screen-less devices like the Kontrol S4 or or the F1 (Remix Deck controller), there is still a high level of visual feedback. This comes in the form of multi-color RGB backlit pads, LED number displays, etc. This type of integration, with focus on user experience, is a Native Instruments specialty. For many, this attention to detail is an appealing reason to operate within the Traktor ecosystem. In an all digital system, the playing and mixing is typically done internally, and DJs often allow the computer to maintain tempo using the “Sync” function (though it is not required). A DVS-style system involves using turntables with timecode records (or CDJs in HID mode) to control your digital music. You can customize your workflow to land anywhere along the spectrum. Track Deck: your “traditional” digital deck (which takes the place of a CDJ or turntable). Play songs straight through, or skip around using hot cues. 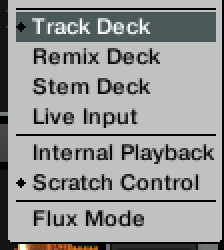 Remix Deck: a clip-based deck which allows you to trigger samples and loops instead of play full tracks straight through. Stem Deck: a four-channel deck which contains split elements (such as bass, drums, vocals, and melody). 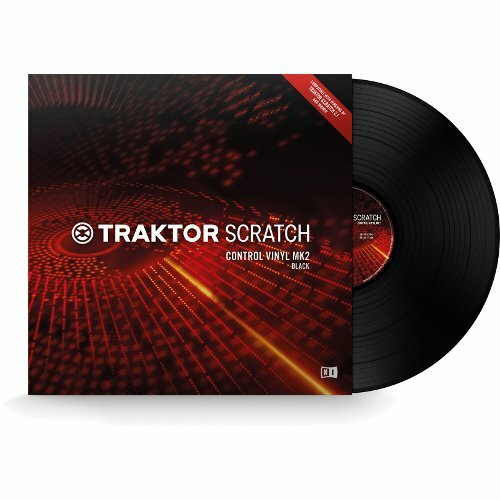 Scratch Control: a deck which accepts timecode input in order to manipulate your digital music like a record. Live Input: direct-thru input from an external source, such as a CDJ or another controller. In Traktor, Flux Mode is a feature which enables a track to keep playing along a virtual timeline, despite changes you make in the meantime. It allows you to use cue points, loops, and hot cues without losing your “spot” in the song. Flux mode allows you to interact with Traktor’s transport controls, and when you’re done, the track jumps right back to where it would have been otherwise. This functionality is described as “Slip Mode” on Pioneer DJ devices. These devices generally contain everything you need to DJ comfortably with Traktor. This includes control of the mixing section, FX, transport functions, track browsing, looping, and other core features of the software. Each device contains a high-quality digital audio interface. With any of these devices and a laptop, you essentially have everything that you need to connect to a club PA or sound system and play a complete set with Traktor. 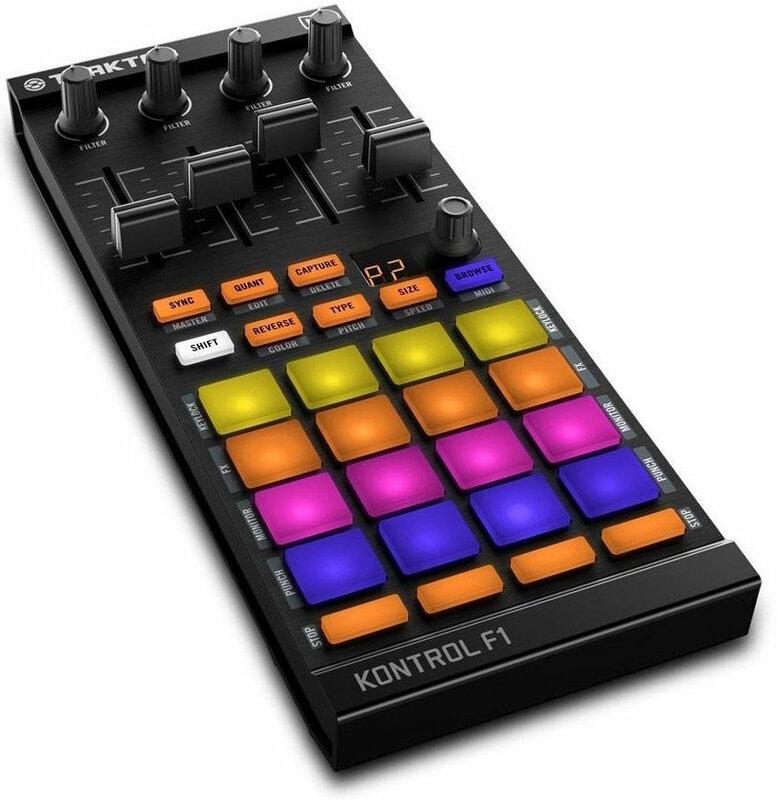 The Kontrol S series is made up of several offerings in several different price points, and each one has a feature-set that makes it worthy of consideration. Below are details on each device. 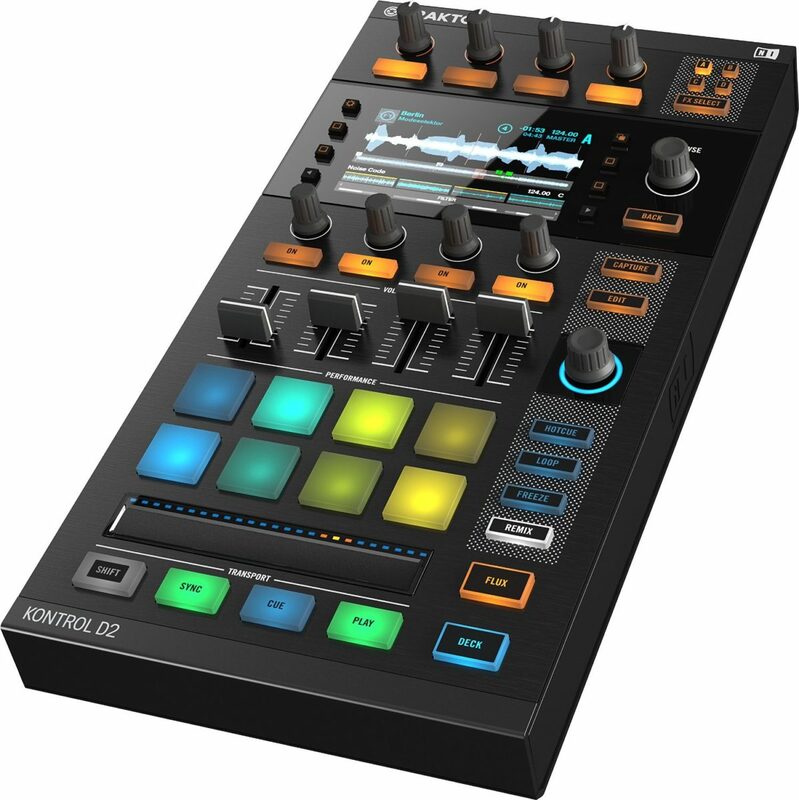 The Kontrol S8 is the best Traktor controller offered by Native Instruments. 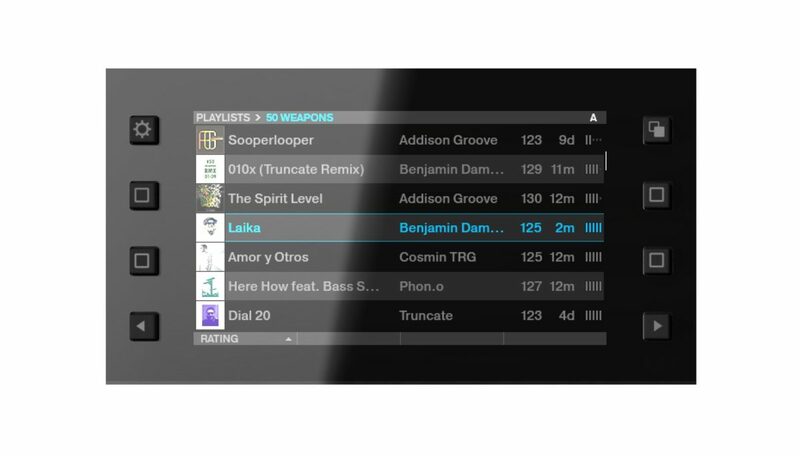 The S8 is hands-down the most fully-featured and well-integrated controller currently available for Traktor. The touch-sensitive knobs, high-quality onboard screens, and smart UI design make for a pleasant experience… assuming you can do without the jog wheels. This Stems-ready controller also functions as a standalone mixer, gives full access to remix sets, and allows you to control 4 fully-functional decks. 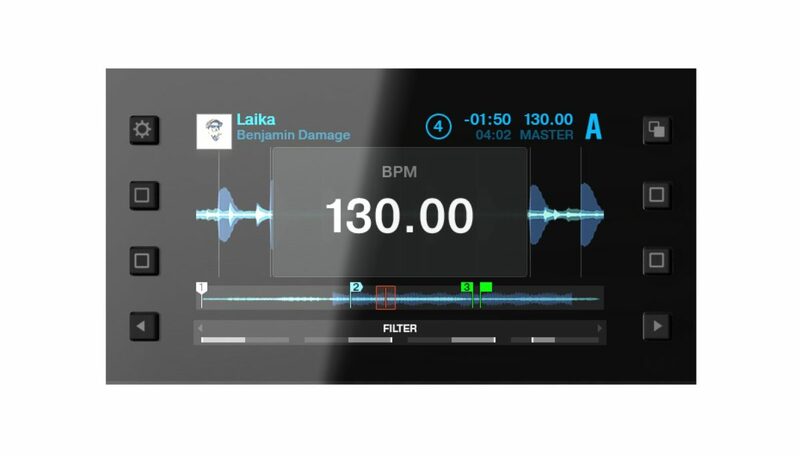 Dual high-resolution displays and touch-sensitive controls work together to form a very smart and intuitive interface for Traktor. Full access of Remix Decks, Stem Decks, Traktor Pro’s effects, track browsing, and Flux Mode. Standalone analog mixing, DVS/timecode support with Traktor Scratch. Wide touch strips allow for pitch bending, track seeking, and “vinyl scratch emulation”. 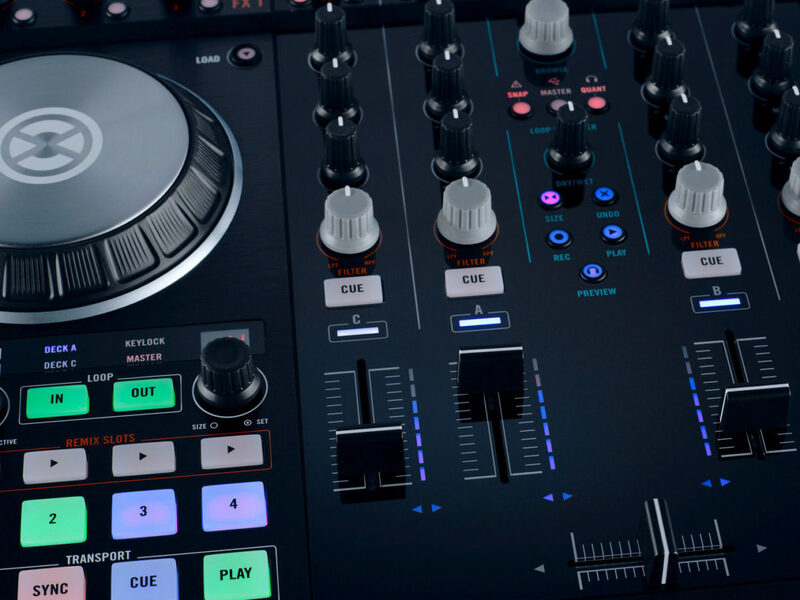 ✅ Pros: The most comprehensive Traktor experience available, professional audio quality and connectivity options, intuitive UI thanks to clever hardware/software integration, standalone mixer, includes timecode support. ❌ Cons: The most expensive of the lot, lack of jog wheels is a dealbreaker for some, makes your laptop feel like an unnecessary anchor. 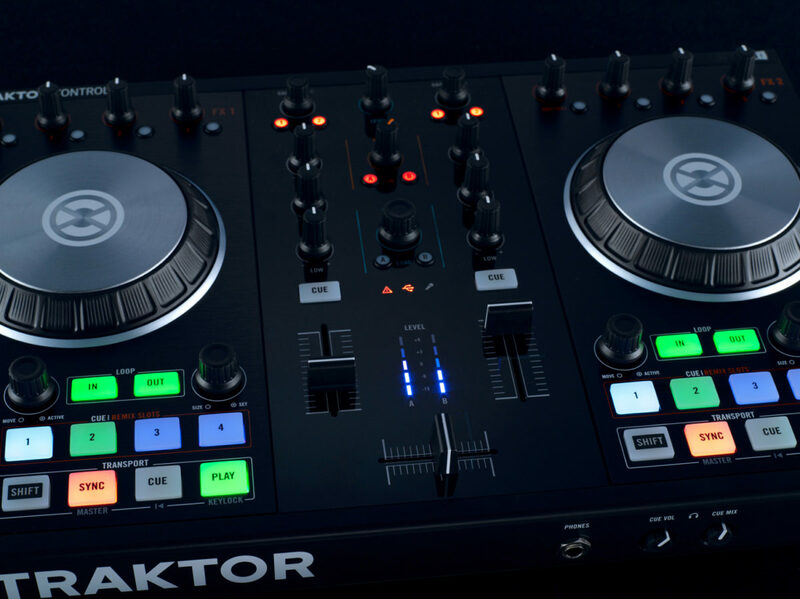 The Traktor Kontrol S5 is a feature-heavy midrange option that provides similar functionality to its big brother, the S8. The S5 is a great way for Traktor “power users” to deeply deconstruct and reconstruct the music within their sets, while sacrificing a few purpose-specific features from the S8 in order to provide an attractive price tag. The S5 provides access to Stems, Remix Decks, and just about everything else inside Traktor Pro 2. However, there are no line inputs (so, no standalone mode or timecode). 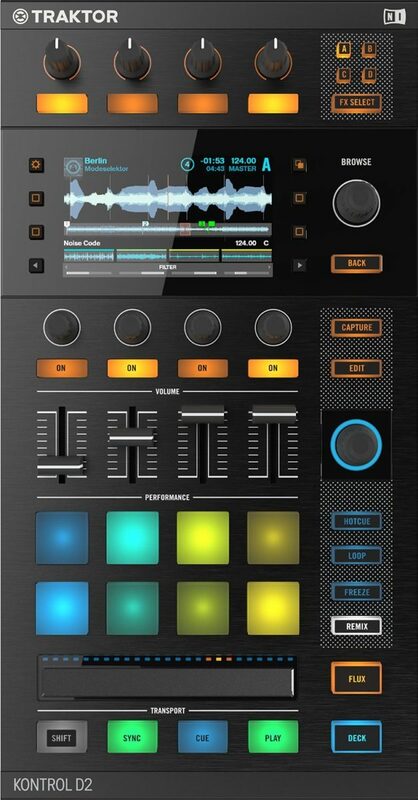 Access to Remix Decks, Stem Decks, Traktor Pro’s effects, track browsing, and Flux Mode. Portable design fits well in cramped DJ booths. ✅ Pros: Provides similar core functionality to the S8 at a much more affordable price. Smaller footprint fits better into cramped DJ booths. ❌ Cons: No jogwheels, and no inputs for DVS (timecode capability) makes the S5 more specifically targeted to strictly digital DJs with sufficient track prep. The sacrifice: no MIDI, no standalone mixing, and slightly less control over Remix Decks. 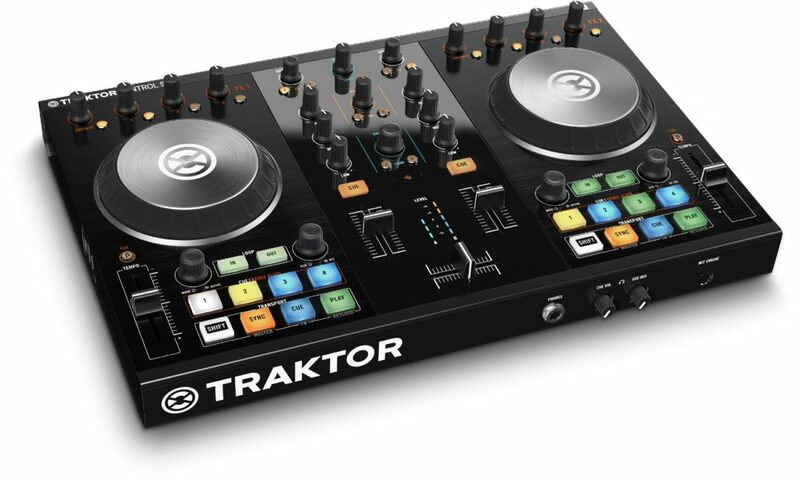 This Traktor Kontrol S4 is a slightly improved version of the device that, arguably, put controllers on the map. 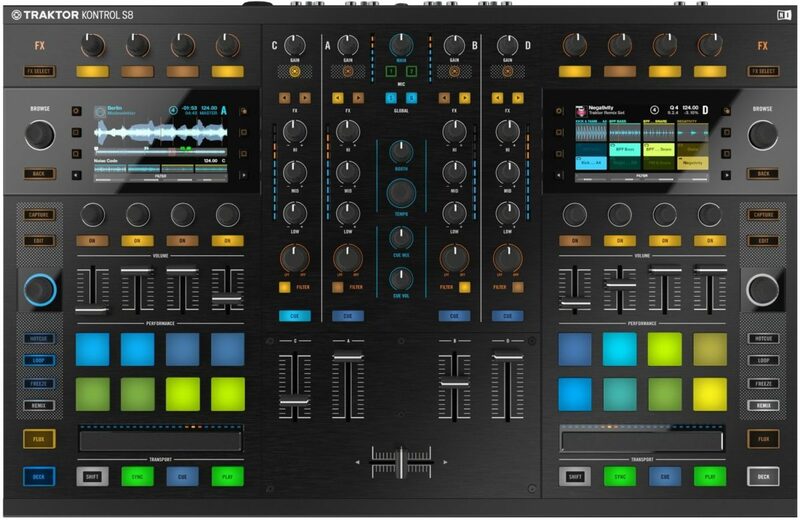 Though it doesn’t support the fancy screens and the level of control over Traktor that is provided by the S8 and S5, the layout is well thought-out and perfect for 4-deck control. The Kontrol S4 is a great option for DJs who don’t mind keeping their laptops within their line of sight. You even get Stems control, partial access to Remix Decks, and full DVS capability with the timecode add-on. Stems-ready, partial use of Remix Decks, access Traktor Pro’s effects/track browsing/Flux Mode. Jog wheels provide a more traditional DJ “feel”; makes for easier manual beatmatching than touch strips. ✅ Pros: Provides access to all basic functions of Traktor in 4 decks, compatible with Traktor DJ for iOS, unique Loop Recorder function, high-res jog wheels with HID interface feel like butter in Traktor. DVS-able. ❌ Cons: No fancy screens or touch-sensitive controls means keeping the laptop close by, design is aging, single headphones output, “Booth output” is half-assed. 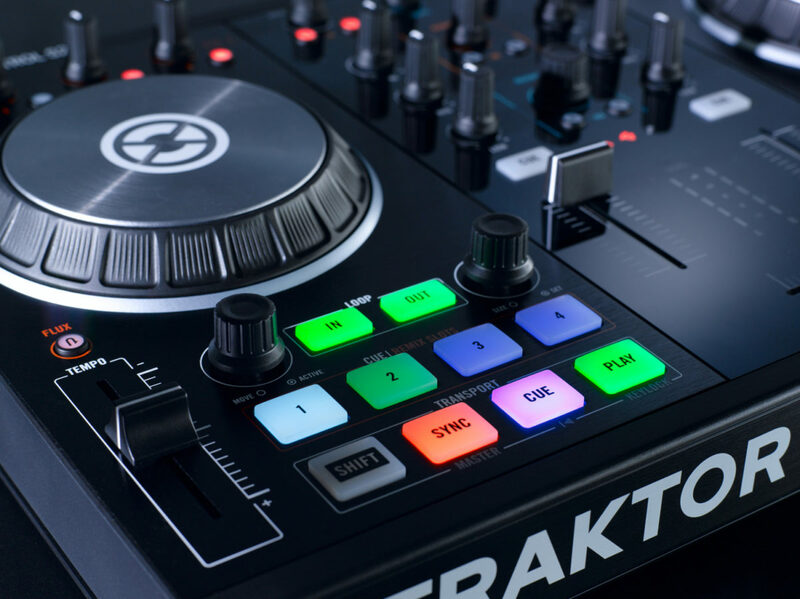 For the budget-minded, the Traktor Kontrol S2 MKII is a great option for Traktor users who only need two-deck control (and even offers partial onboard access to Remix Decks in a similar manner to the S4). For those who like the traditional dual-jogwheel layout and a compact footprint, give the S2 a serious look. If you’re an iPad DJ, this is likely the best Traktor controller for you. It’s fully plug-and-play compatible with Traktor DJ (for iOS)… as is the S4, but without paying for the “extra” channels you won’t be using. 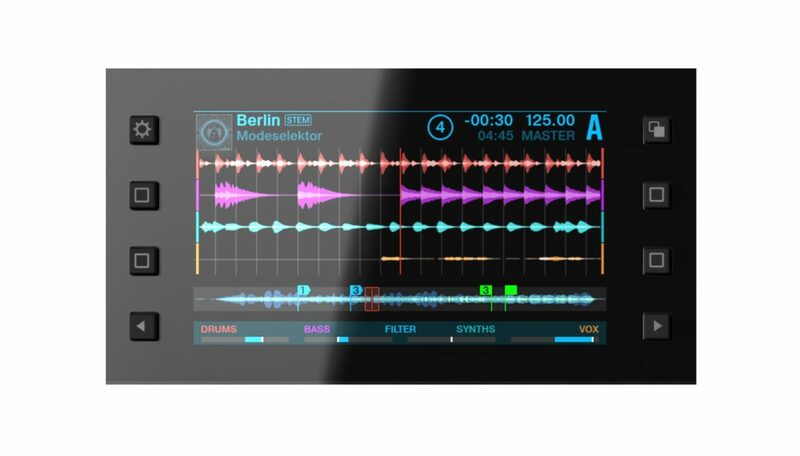 Highly compact design, and a great choice for Traktor DJ (iPad/iPhone) users. ✅ Pros: Provides access to all basic functions of Traktor in 2 decks, perfect for Traktor DJ for iOS, high-res jog wheels with HID interface feel like butter in Traktor. Remix decks on “third” channel”. Great price. ❌ Cons: Two-deck mixing only, “Booth output” is half-assed. The entire lineup of all-in-ones offered by NI is pretty solid, and they all provide access to the basic functions in Traktor without making you feel like you’re operating with a handicap. 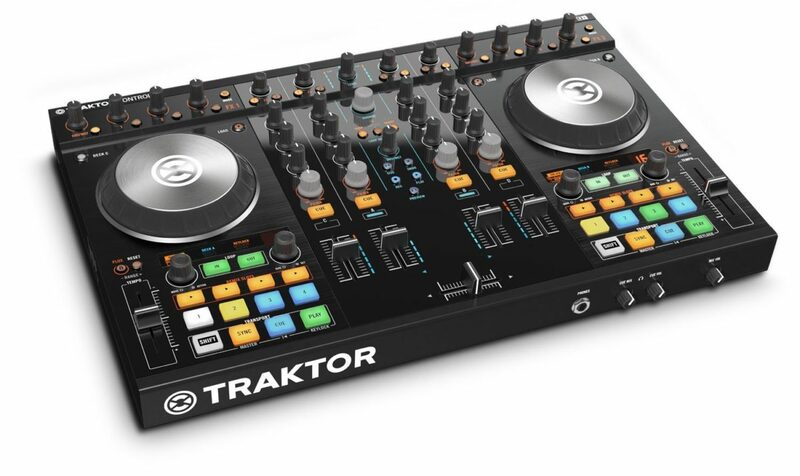 Logically, of the four options given, the S8 is the cream of the crop when it comes to operating within the Traktor ecosystem. It is the only one that comes with Traktor Scratch Pro 2, which means it comes fully DVS (timecode) capable straight out of the box. The high-res screens and touch-sensitive controls make for a very smart and enjoyable user experience… and if you can deal without the jog wheels (as DVS users would), this device is about as good as it gets for Traktor. Even fully digital, the touch-strips do not hold back most DJs unless they are into scratching and other similar tricks. The S5 acts as a sort of “S8 Lite”. 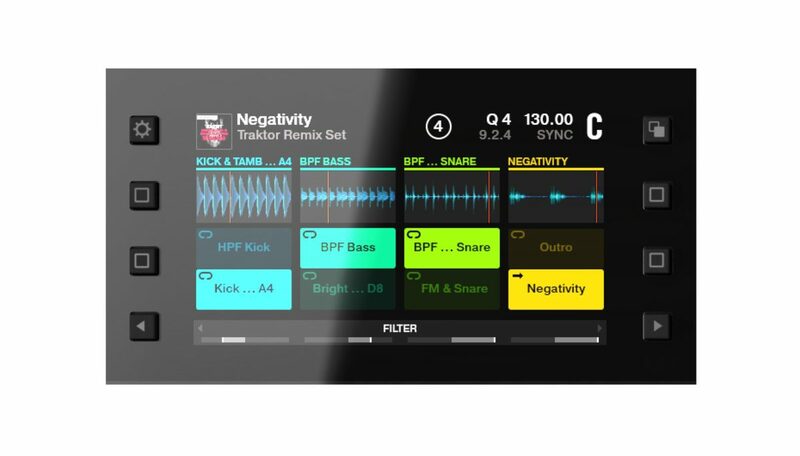 It provides most of the functionality of it’s big brother: 4-deck control, Remix Decks and Stems support, screens with smart feedback and touch sensitivity, and an overall pleasant Traktor experience. So what’s the downside? 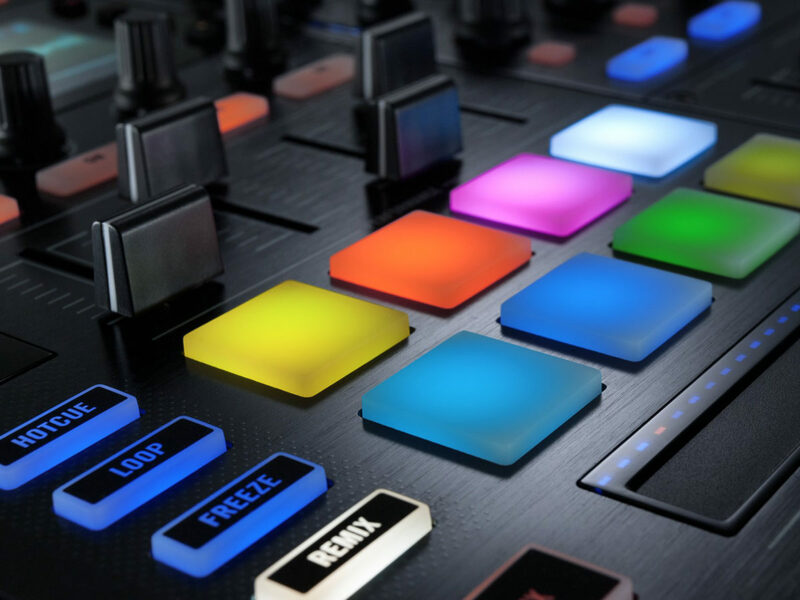 Primarily, you lose some control over your Remix Decks (it ditches the individual faders in the transport sections), and external inputs. That means that the S5 is a no-go for people who like to use timecode. But for most Traktor users who want a feature-loaded controller (and to save a few hundred bucks), the S5 is an awesome choice. The current revision of the S4 is the prime choice for Traktor users who prefer jog wheels over screens and touch-strips. 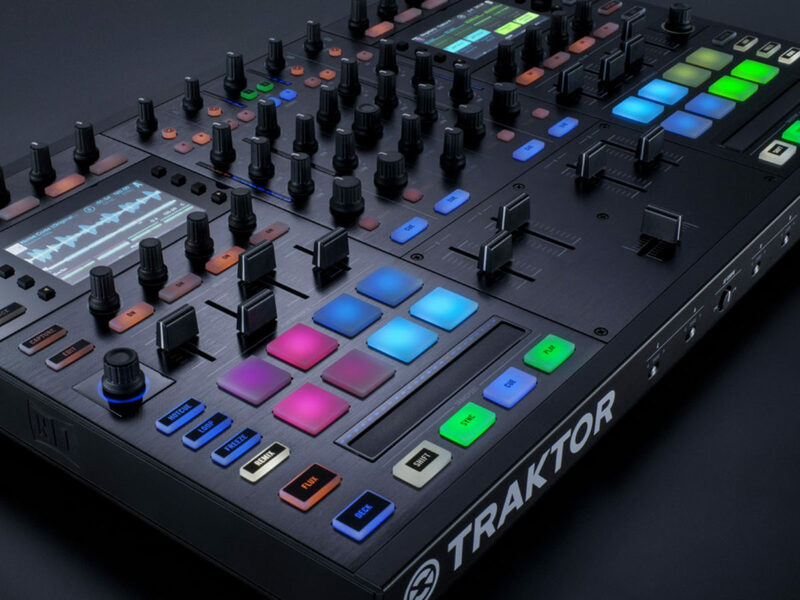 The original S4, arguably, put controllers on the map in 2011… and the MK2 version is still a solid and powerful choice for Traktor power-users. It’s even compatible with Traktor DJ (for iOS). And though it doesn’t operate fully standalone, it does contain RCA inputs with software-thru capability. This means that the S4 is also DVS-capable, causing some users to choose it over the S5… saving a few hundred bucks in the process. Controller DJs who also like to scratch are also often attracted to the S4 for its high-res jogwheels. 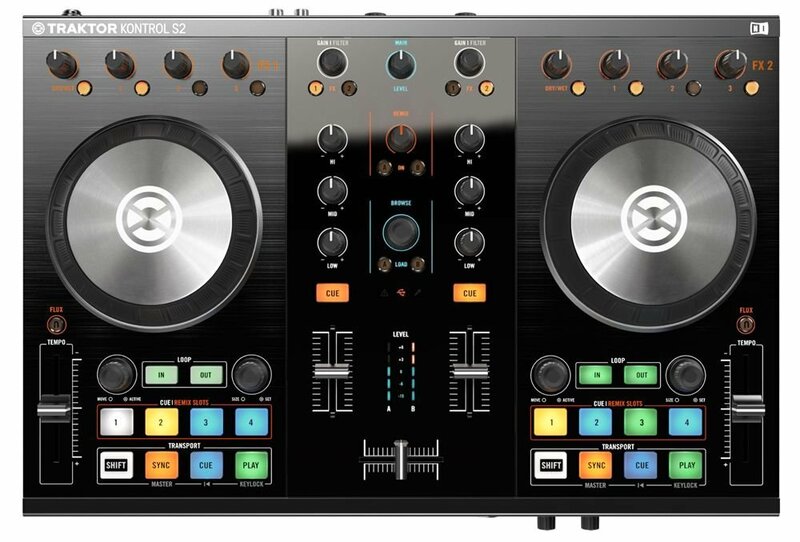 The S2 rounds out the bottom of the list, price-wise… but is a great budget option for DJs needing 2 channels. For the price, you get access to all of Traktor’s basic functionality, an extremely manageable footprint, and USB-power (no separate power cord necessary). It contains the same high-res jogwheels as the S4, and the same intuitive access to Traktor’s FX, looping, cue points, and more. It’s also the controller which makes the most sense for users of Traktor DJ for iOS… making for an extremely affordable and compact setup for mobile DJs. 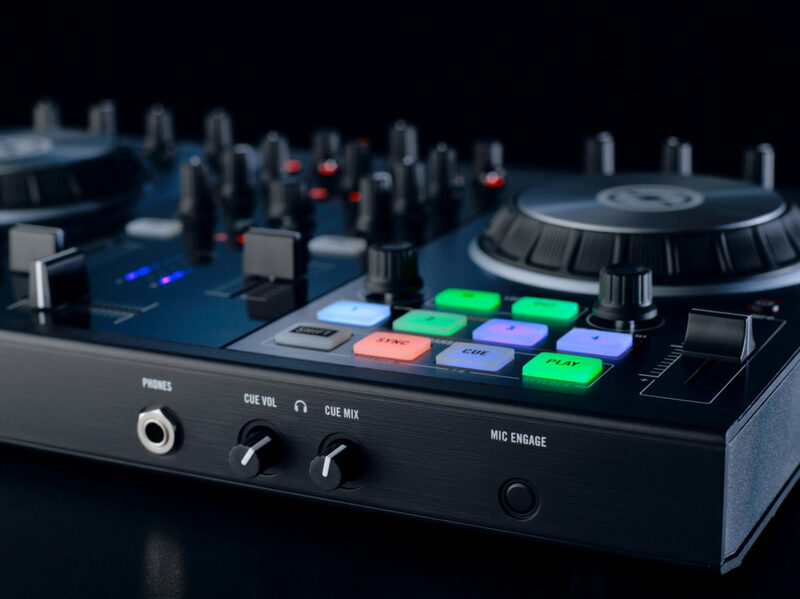 Native Instruments makes it easy to find the best Traktor controller for your needs, by providing these modular options for those who want to go a la carte. These are purpose-specific pieces of hardware, which you can mix-and-match to suit your personal workflow. Complete solutions are great, but many people like the flexibility provided by a modular setup. This allows you to buy different “sections” at a time (such as a mixing controller vs. a deck controller). There are several options, which are outlined below. The D2 is essentially what happens when you take the “deck” section of a Kontrol S8 and make it a standalone piece. For those who like the screens, touch-sensitive controls, and intuitive interface of the full sized controller that inspired it, the D2 is the best option for the modularly-minded DJ. What to expect: Portable “touch-and-see” deck control for Traktor Pro 2. Browsing and loading tracks, full access to Traktor’s FX panel, full control of Remix Decks and Stems (with appropriate on-screen interfaces for each), and the ability to fine-tune beatgrids without even touching your laptop. Access all of your transport controls and cue points, and trigger loops. NI provides a rear USB hub and power supply splitter cable… allowing two units to be used simultaneously with minimal setup. Track Decks, FX, looping, cueing, nudging, Stems… all with a high level of visual feedback. 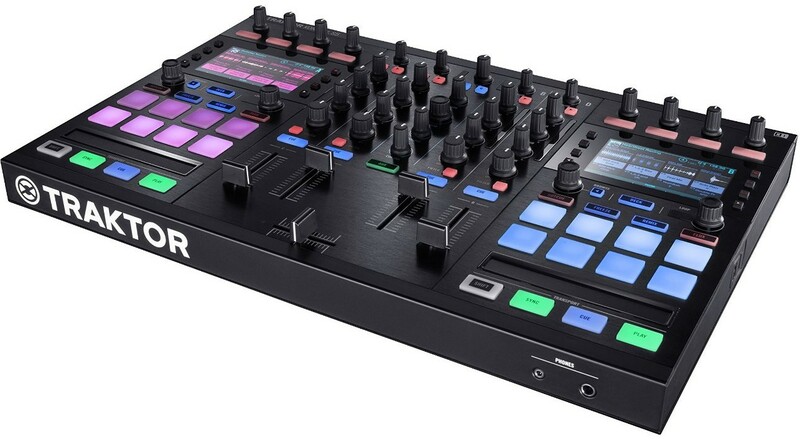 The F1 is considered a “DJ Remix Controller”, and is purpose-built to give dedicated control over Traktor’s Stems and Remix Decks. Many users will add this to a Kontrol S4/S2 setup, or even a full timecode setup with Traktor Scratch, in order to manipulate and re-arrange your edits on the fly… even on wax. The F1 makes it easy to add a bit of “live feel” to your sets. 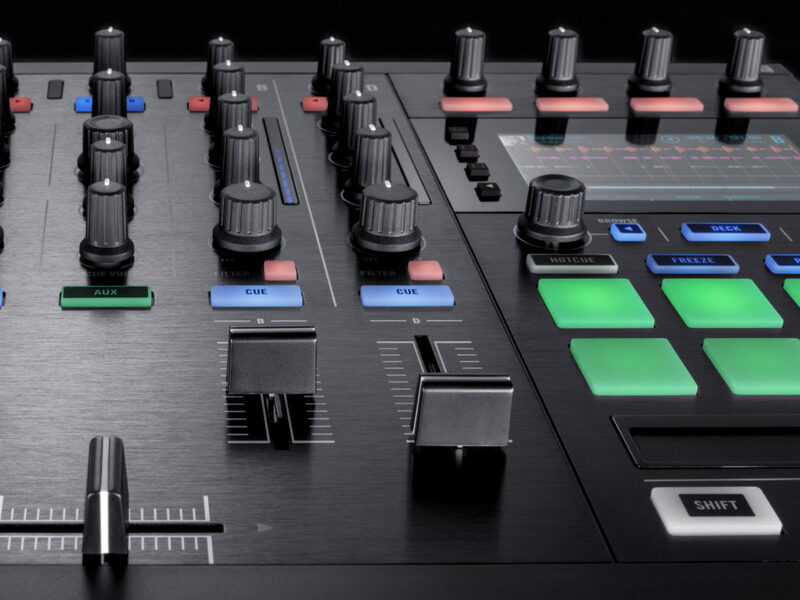 What to expect: 4 dedicated filter knobs and 4 short-throw faders, giving volume and filter controls for each individual Remix Deck/Stem channel. 16 RGB-backlit drum pads allow you to trigger loops, samples, and Remix Deck parts with visual feedback. 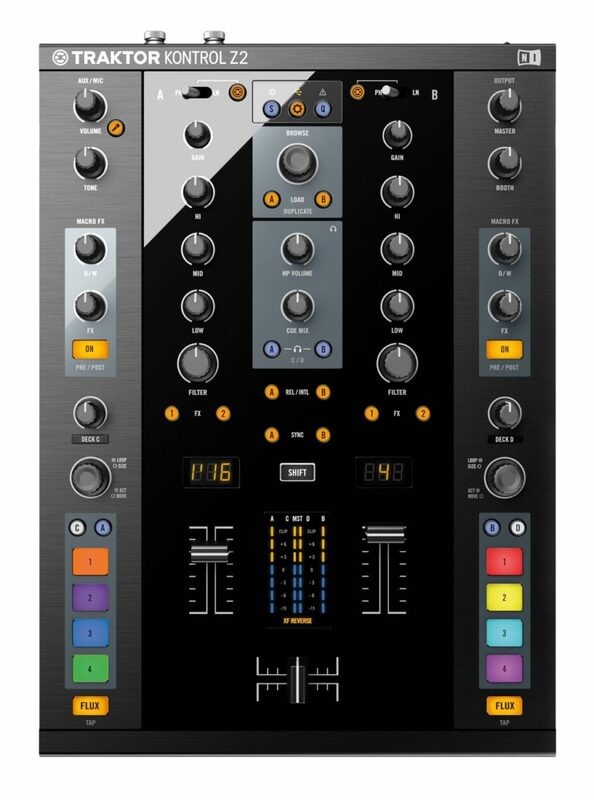 This is the only NI controller which provides simultaneous access to all 16 “remix slots”. The F1 is a smart way to add Remix/Stems support to an existing Traktor setup, without having to re-think your entire workflow. 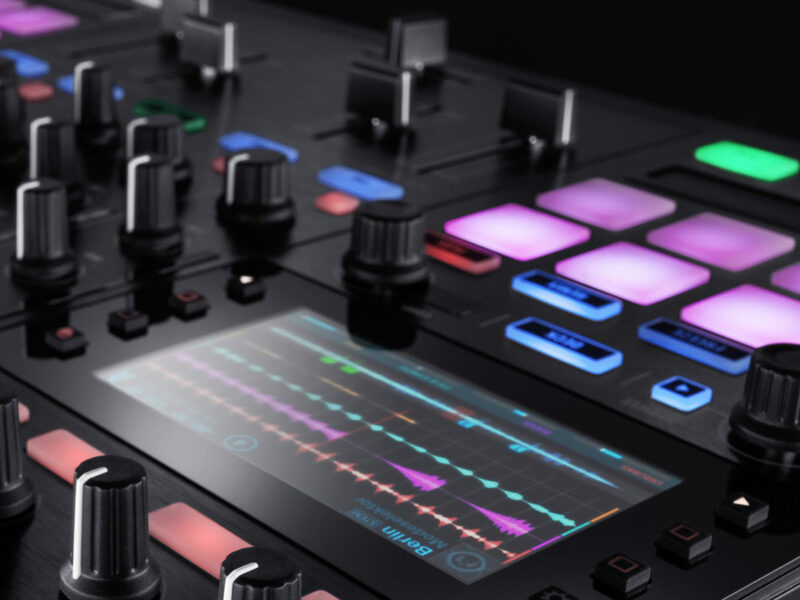 If you’re looking for intuitive control of Traktor’s “decks and effects”, the X1 might just be the device for you. 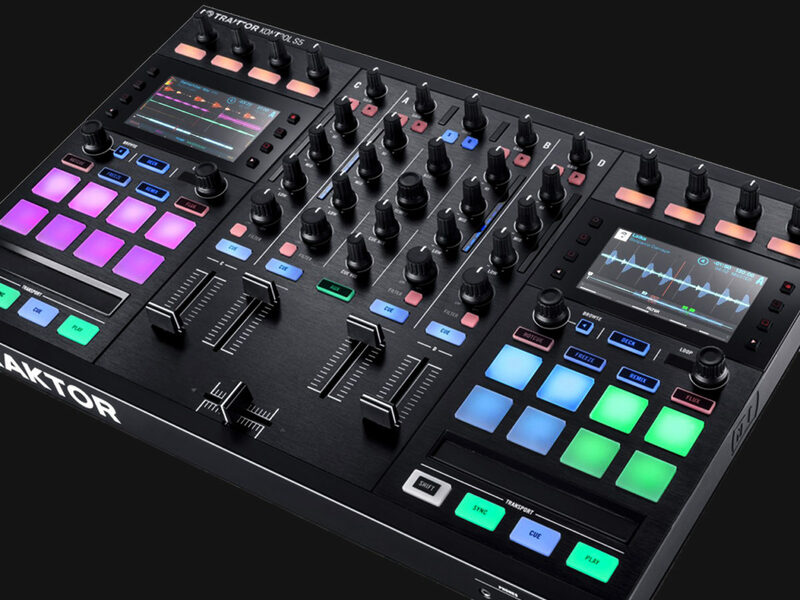 It’s a compact performance controller with responsive controls over two decks and FX units (without all the cost-adding features like high-res screens as found on the D2). What to expect: Dedicated control over two decks, allowing you to browse tracks, seek, nudge, control your effects and loops, and basically give you all of the core functionality of your Traktor decks. Touch-sensitive strips and knobs and color-coded buttons give you clear visual feedback. Perfect for timecode users, who need a way to load tracks and add effects. The game-changing X1 still proves to be a mainstay in DJ booths across the world. “Decks and Effects” control for just about any Traktor setup. Control loops, nudge, set hot cues, etc. 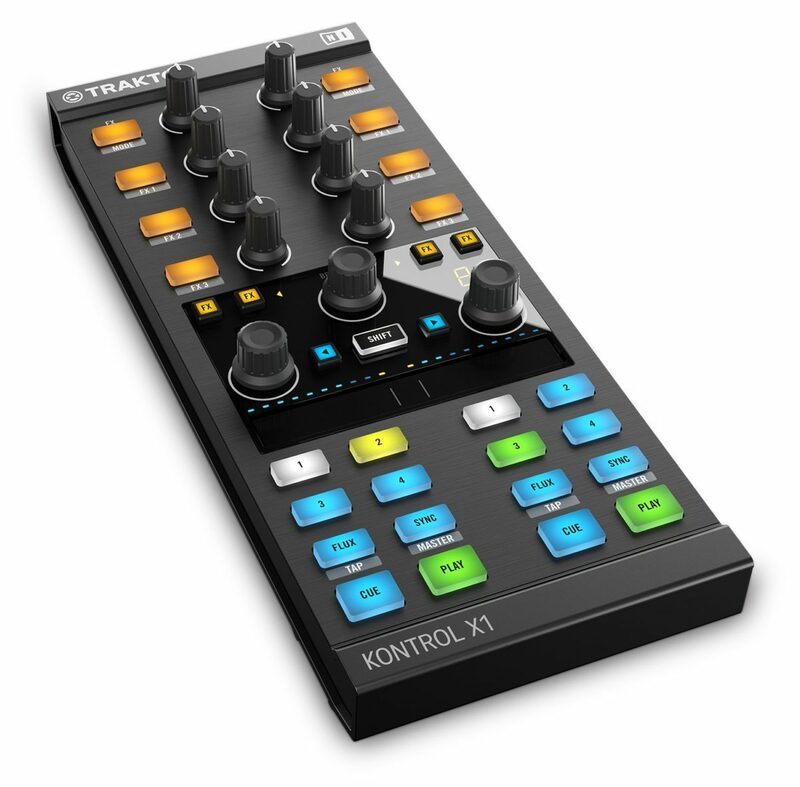 The Kontrol Z1 is unique amongst the modular offerings by NI, in that it comes with a built-in audio interface. 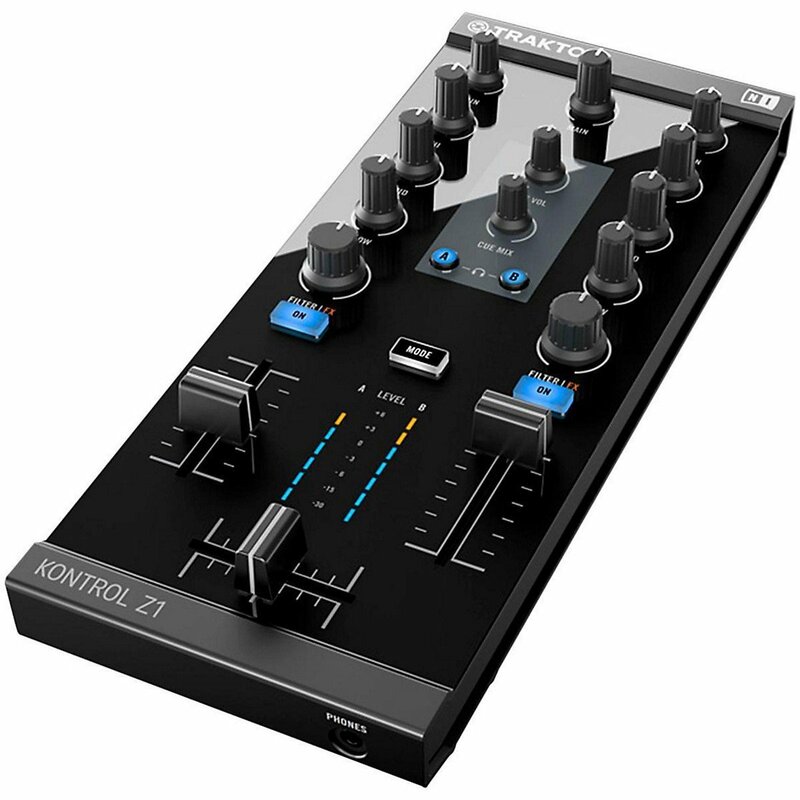 The Z1 is a portable 2-channel mixer for either Traktor Pro 2 (PC/Mac) or Traktor DJ (iOS). It even charges your iPhone/iPad while you play. Combine with other controllers (such as an X1 and F1) to custom-build your Traktor setup. 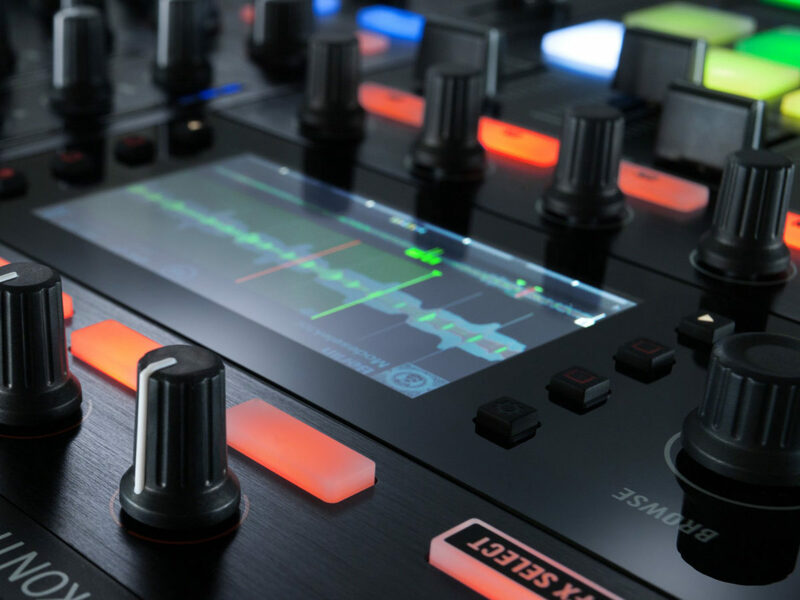 What to expect: An ultra-portable setup for Traktor users with 3-band EQ, high-quality knobs/faders, backlit buttons, and a built-in high quality 24-bit sound card. The perfect device for the DJ who travels light. Contains headphones jack and cue system, giving more versatile control to iPad DJs and giving them club-ready sound. Basic 2-channel mixing controller with integrated audio, as the center of a Traktor Pro 2 or Traktor DJ setup. Decisions, decisions. 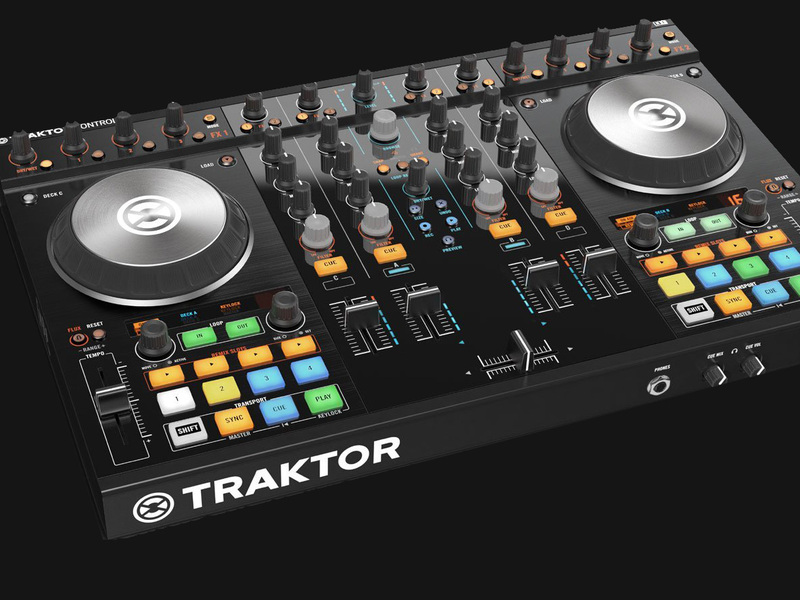 The Traktor Kontrol lineup is comprehensive, and scales well depending on budget. With all these choices, it can be hard to decide where to spend your hard-earned cash. Below are some example setups. Perhaps these will get the wheels turning, and help you decide which gear to go with. It’s fair to say that a Kontrol S8 will be a better value for many users (especially for better Stems and full 4-deck support), but many users prefer the customizability and flexibility of a modular setup. And you’re not married to the Z2 in any way: feel free to pair it with a mixer of your choice. A Rane MP2015 with one of these on each side seems like it would be a special kind of heaven. You could also pair with a Pioneer DJM900 mixer. Just remember that you are relying on a mixer with an integrated sound card. If you want to use something like the Xone:92 or an older DJM model, you’ll have to bring your own audio interface (which adds an unnecessary complication every time you need to set up). Practice Safe Sets: With portability, you also need protection. The official D2 bag keeps your screens scratch-less and your faders safe. This setup involves using a Kontrol S8 as the center of a DVS setup. Simply put two Technics 1200s (or your turntables of choice) on either side of the controller, and you essentially have the “best of all worlds”. This is the exact setup I use at home, so of course, it comes highly recommended. This is, bar none, the best way to do timecode. 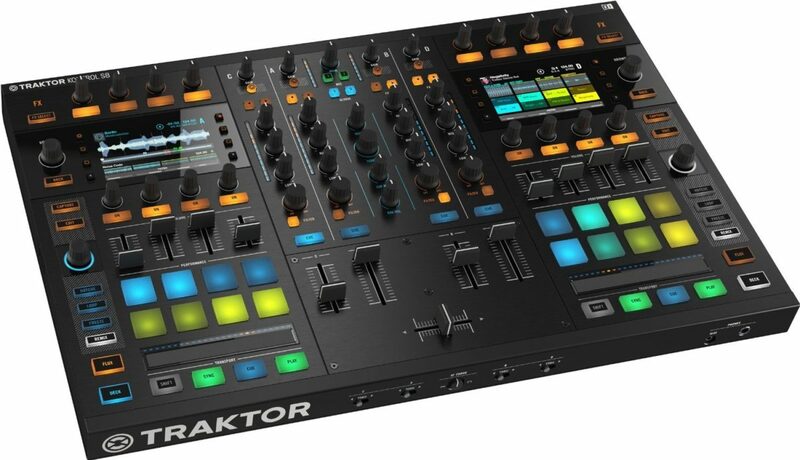 The S8 comes with a license for Traktor Scratch, and is made to switch between Traktor and analog input signals (e.g. real vinyl) with a simple push of a button. This is the best marriage I’ve ever seen of the “old school” vs. “new school” ways of DJing. It’s timecode without the laptop-gazing problem, it’s all the best modern features of Traktor (seamless looping, Remix Decks, Stems, etc. ), and it’s straight-up vinyl mixing… all with relative ease. For a less fancy, but very capable (and cheaper) version of this setup… you can replace the S8 with the Kontrol S4 which also accepts timecode. Keep It Spinning: Make sure you have a set of timecode records – and a spare set of timecode records, if your workflow depends on it. The Kontrol S2 and iOS combo makes for a very cheap and versatile setup… especially if you already own an iPad. Though Traktor DJ is pretty powerful in its own right, combining it with an S2 gives you tactile control over all the software’s major functions (as well as giving you full headphones cue capability). Though you don’t get all of the bells and whistles of Traktor Pro 2, the mobile version is a solid DJ app. You can use the Kontrol Z1 instead, which saves a few hundred bucks. This setup is impossibly portable, and allows you to perform mixing and monitoring functions on real hardware while controlling FX, browsing, etc. from the tablet itself. Or, skip external hardware altogether and simply install Traktor DJ on your iPad. With the official splitter cable, you can even monitor and cue tracks independently of the normal output. 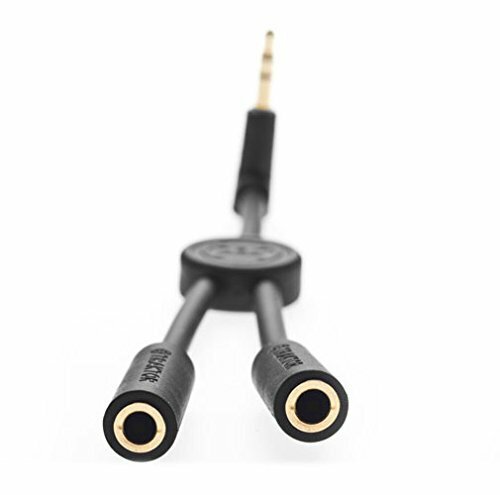 Baller on a Budget: This iOS splitter cable turns your iPad’s stereo output into 2 distinct mono outputs for headphones cue/output. 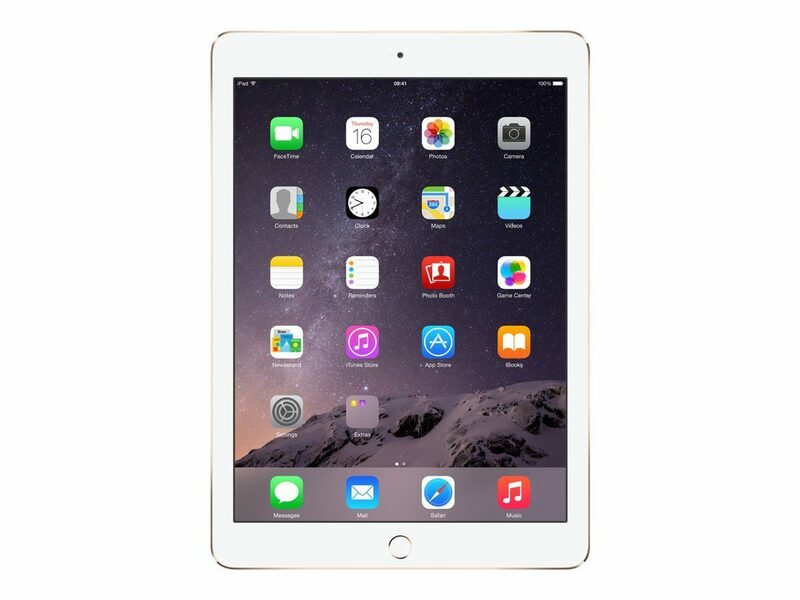 Turn your iPad into the life of the hotel party; no S2 or Z2 necessary. Unlike Serato DJ, Traktor does not lock you to particular pieces of hardware. Traktor’s flexibility and compatibility were part of its early success, long before the official controllers came along. Most custom visual feedback (screens, proper RGB buttons, etc.) will be non-functional. Features non-existent in Traktor aren’t guaranteed to work (but their inputs can be re-mapped to custom functions). Transport data is lower resolution, which means operations like scratching can feel “laggy”. If these don’t apply to your situation, you may bring whatever hardware you wish and buy the software independently. 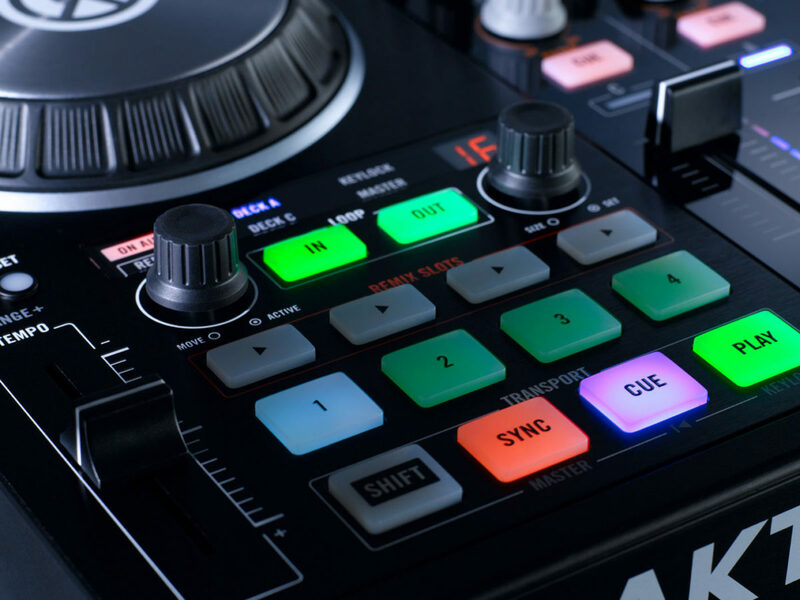 Traktor is highly configurable for those who are willing to dive in, and many popular controllers already have custom mappings available online. As you can see, Native Instruments has done a pretty good job of providing a little something for everybody. From the super tight and intuitive control of the flagship S8, to the extreme portability of the Z1, Traktor users are able to build their setup to personal spec. DJ software is largely a matter of preference these days, and there are several great options. But rest assured that if you choose Traktor, you’ll be choosing pro-grade software which is trusted in booths all across the world. If you’ve found this guide useful, I’d like to invite you to listen to The Passionate DJ Podcast. This is a weekly talk radio show dedicated to the art and science of mixing music. Never miss an episode: subscribe on SoundCloud or iTunes!